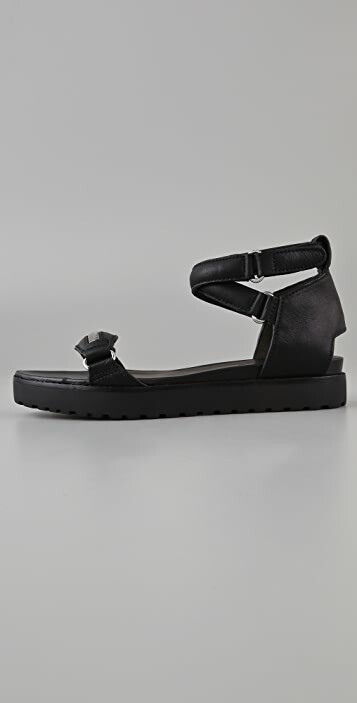 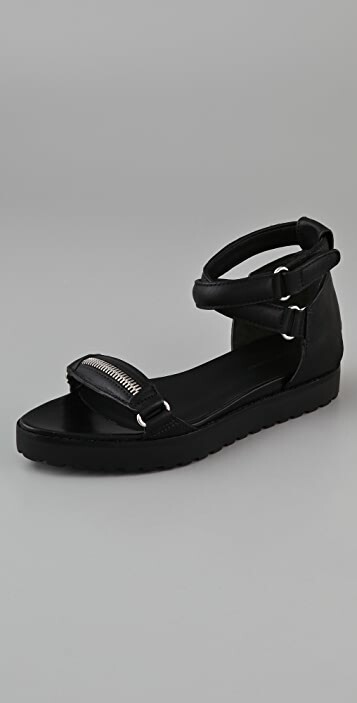 These leather sandals feature a wraparound Velcro® strap at the ankle and a zip detail at the vamp. 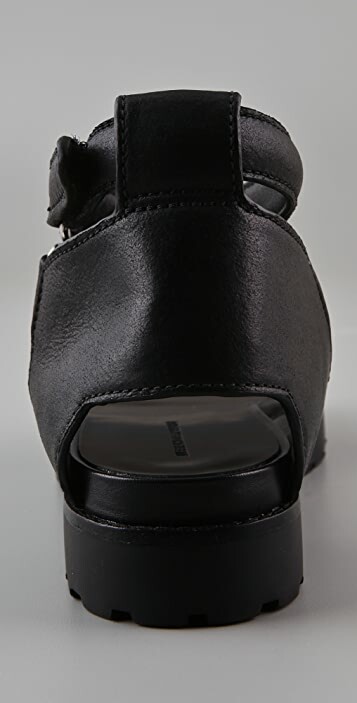 Padded footbed and lug sole. 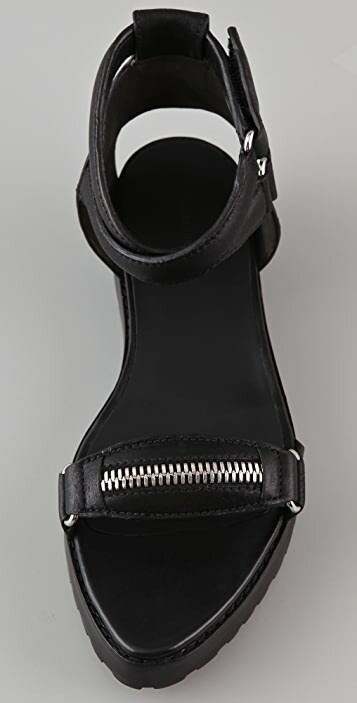 * Heel: 1.5" (40 mm).